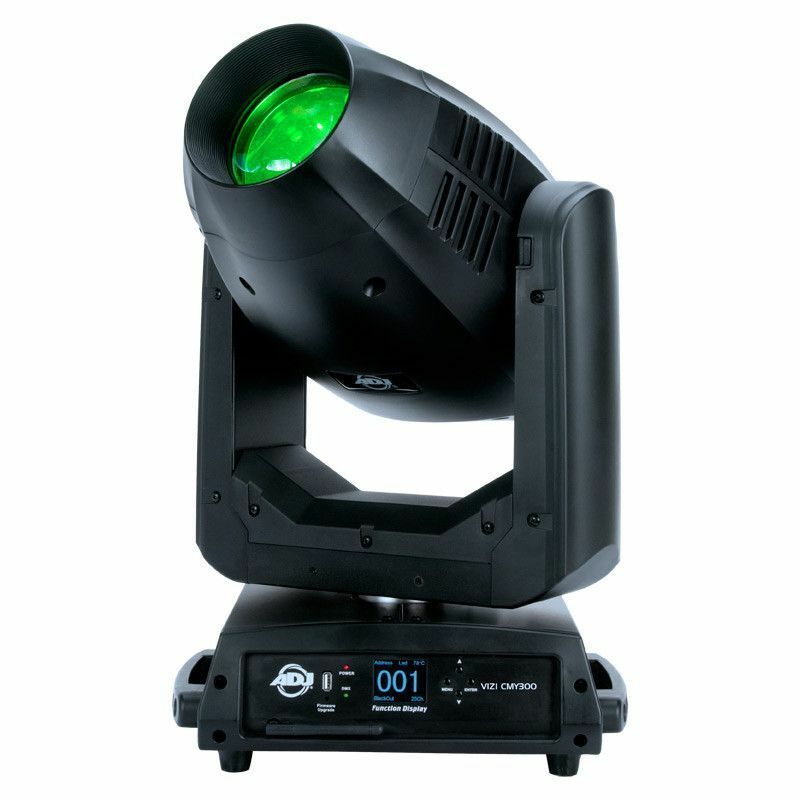 The Vizi CMY300 is ADJ’s next generation LED Hybrid moving head. It uses a specially designed 300W LED engine that offers massive output for most large venues and event productions. It is a great hybrid utility fixture as it acts as a beam, spot and wash all-in-one with a massive zoom range from 8 to 46-degrees. This allows for designers to get maximum effects from one fixture without having to crowd truss in an installation with multiple fixtures. It also allows for less fixtures to be packed in a truck for production events. What’s more, is it comes in a smaller footprint than most other movers in its class. Plus, the Vizi CMY300 offers a CMY color mixing so designers can custom make colors to create a one-of-a-kind lightshow. The fixture has a built-in antenna with ADJ's WiFLY EXR wireless DMX that transmits a signal up to 2500 feet / 700M (line of sight). The Vizi CMY300 won the PLSN Magazine Gold Star Product Award for “Best New Club Light” at LDI 2017.